Come join us for a fun day of readings, healings and refreshments. Meet our gifted in-house readers, healers and teachers. 9Learn how to combine crystal grids with natural magick to bring desires into fruition. Discover the power of working with sacred geometry, lunar phases, herbs, crystals and Wiccan spirituality. Your astrological chart is the blueprint to your soul. There are no two alike. Like a snowflake each is unique and unrepeatable. In this 6 week course, you will learn about your birth chart and how to give basic horoscope interpretations. Complete the 6 week course, answer questionnaire and receive a certification from the Angel Light School of Metaphysics. Complete 3 classes: Stones Awareness, Crystal Awareness and Chakra Awareness, answer questionnaire and receive a certification from the Angel Light School of Metaphysics. 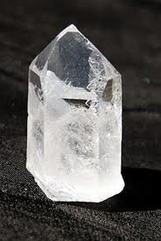 When: Sunday June 2, 2019 from 1- 3 p.m.
Immerse yourself in the mystical, magical world of quartz crystal. Learn how to choose, clear and program a crystal. Experience crystal ball gazing, astral travel, and channeling with the crystals. Uncover the power of a phantom crystal, window crystal, time link crystal, Isis crystal and more. Class includes 2 special quartz crystals and a pouch. ​​When: Sunday June 23, 2019 from 1:00--3:00 p.m.
Chakras are subtle energy centers in the body that influence one's body, mind and spirit. Learn about the function, anatomy, element, color and stones associated with each chakra and how to balance them for optimal well-being. Class includes a chakra manual. ﻿The Rider Waite is the most popular and recognizable tarot deck in the world. It is rich in symbolism. Learn its meaning to give powerful, insightful readings for yourself and others. Discover the Ancient Wisdom of Feng Shui. Learn basic Feng Shui techniques to obtain prosperity, love, well being and overall harmony and happiness. Bring a drawing of your floor plan and learn methods to enhance and balance significant areas of your life. Based on the Black Sect School of Feng Shui. Class includes study of the bagua five elements and the flow of Chi. In this class you will learn relaxation and meditation techniques to enhance your intuition. You will connect with your spirit guides and receive a message and a mini reading. To register or make a payment, please use the Fairy Magic Course $35 PayPal button. Thank you! Class includes history and background, spirit guides, gatekeepers, protection, meditation, automatic writing, psychic drawing, light trance, mediumship/partnership readings. Awaken your psychic gifts. In this class you will learn basic grounding, shielding and protection techniques. Learn about the fairy kingdom- earth spirits, gnomes, forest fairies. Seek to understand your fairies and the different kinds of fairies in their natural elements. Guided meditation to meet your guides. 1st week: Session begins with your personal ancestors. Hear what messages your departed love ones have for you. 3rd week: Guardian Angels to receive guidance in your life. Reiki is the Japanese phrase for ‘Universal Life Energy,’ The Usui System of Reiki Healing is a hands-on healing practice. Learn the foundations of this natural healing art, Reiki principles and precepts, hand positions and be able to offer yourself and others and your pets a deeply relaxing, peaceful and calming experience. Learn about your spirit guides! A primer, plus deep guided meditation. Learn great tools to communicate and work with them daily! 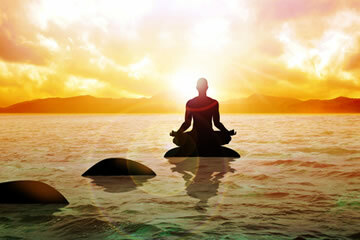 We also will go in depth with a meditation, and you will meet your guide, or work more in depth with the one you have. Deep meditation, and healing techniques! We will learn a bit about some of the Female Ascended Masters, and also learn some techniques to do some healing with them! We will practice them in class, and on each other. Mary Magdalene, Lady Nada, and more. A deep, guided meditation is also in store for you, and you will feel so peaceful, and healed afterwards. Some notes from class will be emailed to you. Please Join us, and bring a friend! ​Learn tools for creating your mockups, and class practice! Techniques for manifesting your hearts desire! You will learn many tools and techniques for making mockups, and creating what you wish in this workshop! There will be a lecture, different techniques (tools for your spirit toolbox! ), and lots of practice in this class! Please join us! These tools work! Meet the Archangels including Michael, Raphael, Gabriel and Uriel. Work with each one for deep healings and learn to use them on your own. Powerful deep meditation and healing in class. 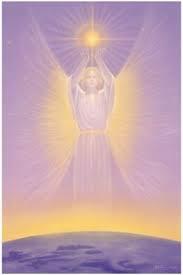 Discover the difference between Angels, Archangels, Ascended Masters and guides to learn to create sacred space with them. If you missed the Psychic Protection Tele-Class 1&2, You can still purchase the recording here. Fee: $39 for one class, $78 for both classes! If you missed the Meet Your Guide Team! Tele- Class, you can still purchase the recording here. This is a wonderful class and deep guided meditation to meet you spirit guides, angels, teachers, and loved ones, and even aspects of yourself, to aid you in understanding, and communicating your goals and dreams.